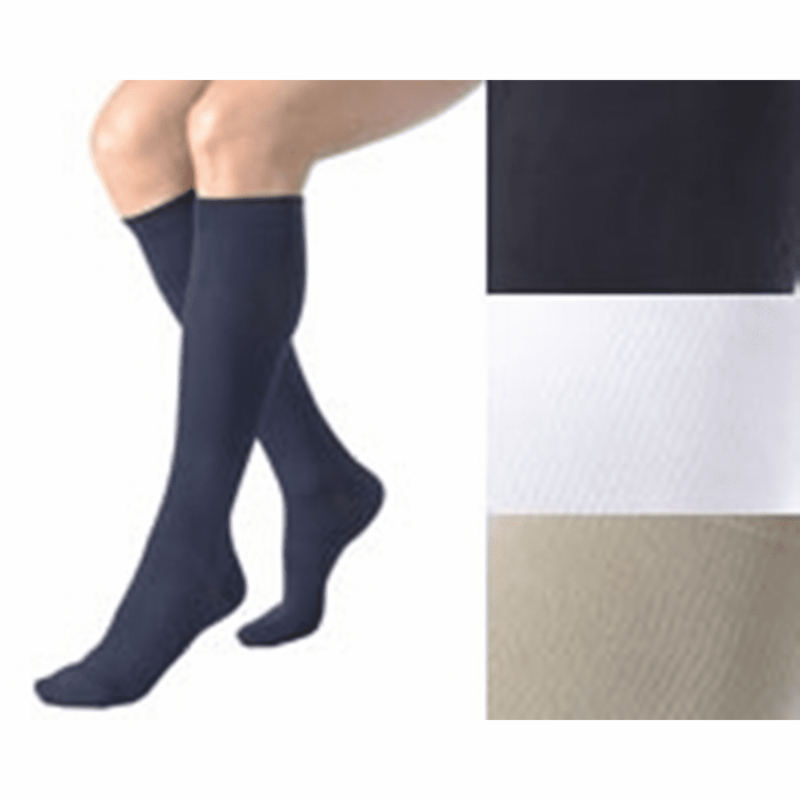 descriptionActiva Women's Soft Fit Knee High Dress Socks 20-30 mmHg. Designed to prevent venous disorders of the leg such as varicose veins, spider veins and ankle/foot swelling. Provides moderate graduated compression to increase circulation in the legs. Knitted with Microfibers, this medical hosiery has a cotton-like softness that wicks moisture away. Elegant in its sheen and softness, it is a support hose with the feel and look of tights. Relieves leg fatigue and heaviness, ankle and foot swelling, mild spider veins, varicose veins, and for post-Sclerotherapy. Non-binding top band and a closed toe.